A cement factory in Texas was among the first in the U.S. to install wet flue gas scrubbers in order to reduce the sulfur dioxide emissions. This is a demanding application for pumps because the gypsum slurry that “scrubs” the gas is highly abrasive and corrosive. Special pump systems with housings and impellers made of mineral cast proved to be an ideal solution for this specific application. Wet flue gas desulfurization scrubber systems can be vital components in various industries due to strict environmental regulations of those applications. First applications were coal-fired power plants and waste incineration plants. Today, other industries use wet scrubbers in their day-to-day operations as well to scrub flue gas emissions from burners that use coal as a fuel source. The scrubbers remove toxins from coal- fired flue gas streams in the process. This is accomplished by spraying a mixture of limestone slurry over incoming flue gas. This creates a chemical reaction that removes or “scrubs” the toxins from the flue gas. Once the limestone slurry reacts with the incoming flue gas, it is converted to a gypsum slurry. The gypsum is then dewatered and can be sold to end users for use in various industries. Concrete manufacturers are able to use the dewatered gypsum in the concrete production process. The selection of pumps for this application is a crucial task. Due to its significant corrosive and abrasive characteristics, gypsum slurry is a very difficult medium to handle. An American cement plant with a yearly capacity of about 2 million metric tons has found a good solution for that issue when it installed the first of two scrubber systems in 1998. 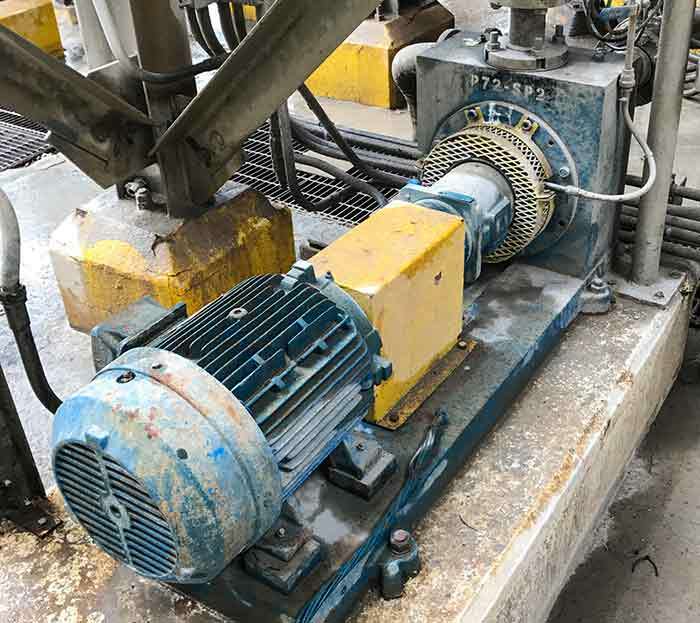 The housings of the eight pumps in the limestone slurry cycle are not made from metal materials, but from a special material that was designed specifically for extremely harsh conditions. This material is a mixture of silicon carbide (SiC) and epoxy resin that is poured into precision molds and heat cured to form the pump components. The material must be machined with diamond tools due to it exhibiting a hardness close to that of diamonds. The material is completely impervious to corrosion and exhibits extreme abrasion resistance given its metallic-free composition and high hardness value. 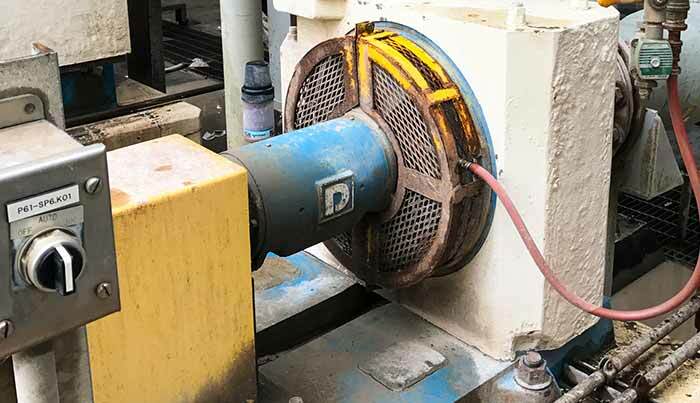 The scrubber recycle pumps in this plant have operated at a flow rate of 1,310 cubic meters per hour (m3/h), 21.1 meters (m) of head and 630 revolutions per minute (rpm) for nearly 20 years, requiring minimum attention and service. Of course, the mechanical seals were exchanged from time to time. Apart from that, four impellers, one casing cover and some minor components were replaced. An additional 24 pumps are installed in the second scrubber system and other applications in the plant. This installation is a true testament to the superior performance of these pumps in the harshest environments. 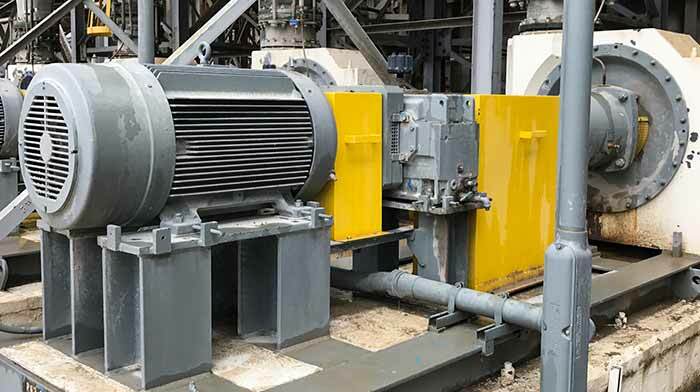 It shows why this type of pump is installed not only in this cement factory, but also in wet flue gas desulfurization systems in multiple power plants and other industrial facilities all across the world. The pumps are not restricted to flue gas desulfurization. They are also used in processes such as ammonia phosphate and titanium dioxide (TiO2) pigment production, salt solution mining, sugar beet processing and sea water desalination. Daniel Wilson is president and sales manager at Duechting Pumps North America. He may be reached at daniel.wilson@duechting.com or 479- 259-5901. For more information, visit www.duechting.com.